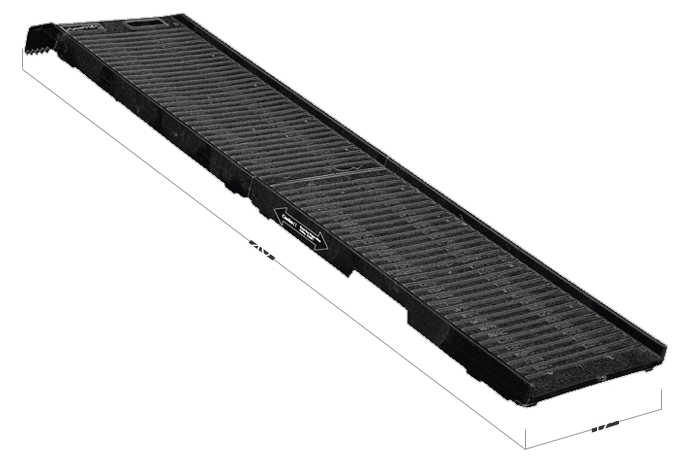 The PetSTEP is 17 inches wide. When the PetSTEP is unfolded, it’s 70" x 17" x 2.5". When the PetSTEP is folded, it’s 36" x 17" x 5.75". The PetSTEP is best used for accessing heights up to 32". Simply unfold the PetRamp, place on the surface where it will be used and ensure it is evenly balanced. Weighing in at 13 pounds, the PetRamp is light enough for anyone to use. With integrated handles on both sides, the PetRamp is easy to move and use in seconds. PetRamp can be easily cleaned using normal household cleaners, and will never rust or corrode. Designed for the comfort of our furry friends and their handlers.